Betsoft has gone to town on the theme of Frankenstein and spun off a game based wholly on the infamous creature. This is Frankenslot's Monster Slot. With five reels and 20 paylines it's packed with features and payout potential (not to mention it's been so well crafted that it might actually give you the creeps – play it if you're brave enough). 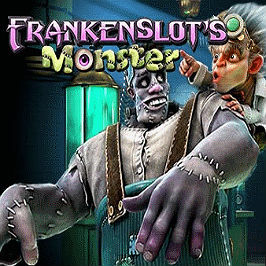 Frankenslot's Monster Slot enters the dark and dimly lit laboratory of the fictional Victor Frankenstein, who now goes by the name of Frankenslot – and a very mad scientist he is. Between his mysterious experiments on decaying bodies, it seems he's come up with the bright idea of creating something truly grotesque – Frankenslot's Monster. Not only that, he's gone and strapped the frightening creature to a dirty old mattress while he spins his scientific reels and performs experiments. The game takes you deep into the dark, damp, spooky lab of Frankenslot, with graphics and colours that have been rendered to create a brilliantly grotesque atmosphere – a winner if you're a horror fan or love the Frankenstein book by Mary Shelley. The gamescape features a highly animated reel with iconography including Frankenslot, the monster, full moon, monster's eye ball, lab spotlight and classic card suit icons. The gothic action's complemented by free spin scatters, second screen interactive bonus icons and Wilds. With 96.8% return-to-gamer ratios, you're assured fair payouts, too. 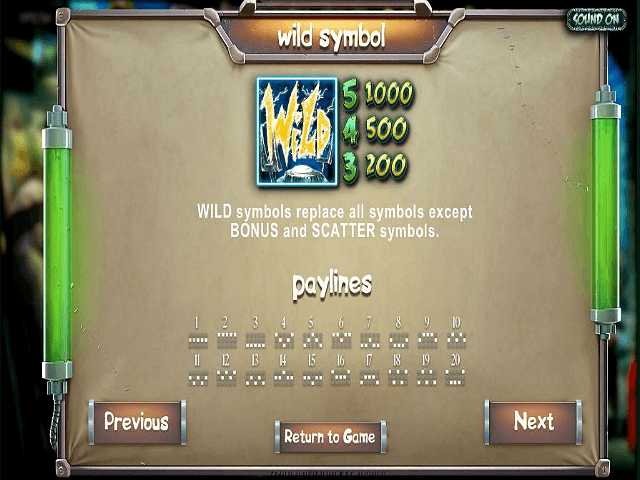 Three scatter icons activate eight free spins with three Wilds added to each spin randomly, boosting payout potential. You also receive another eight spins if three scatters hit the reels during the bonus. If you love a bit of interactivity then Frankenslot's bonus game will go down a treat, even if it's really just a case of chancing your instinct. 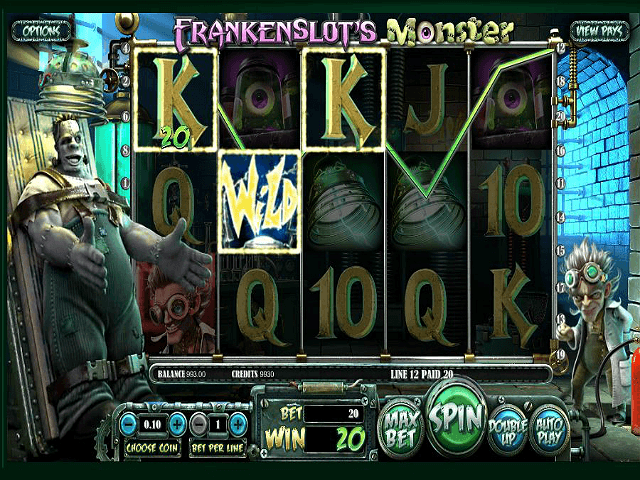 To launch the game you need to land three scatter icons on the reels – this launches a screen with Frankenslot's electric panel and frightened monster. Your challenge is to pull the lever to shock the poor beast and get a random reward. We're not sure if cruelty to monsters should be condoned, but with 25x win multipliers up for grabs, we suggest keeping it to yourself. 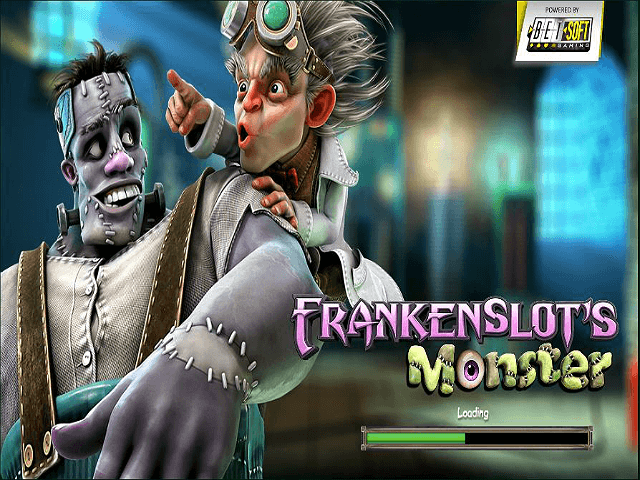 The scary verdict: Frankenslot's Monster slot delivers a nice take on the classic Frankenstein story – a likely hit if this is your kind of thing. Playable and with a very diverse range of bets, it's got enough base wins, jackpot power and bonuses to bring anyone's love of gambling back from the dead. 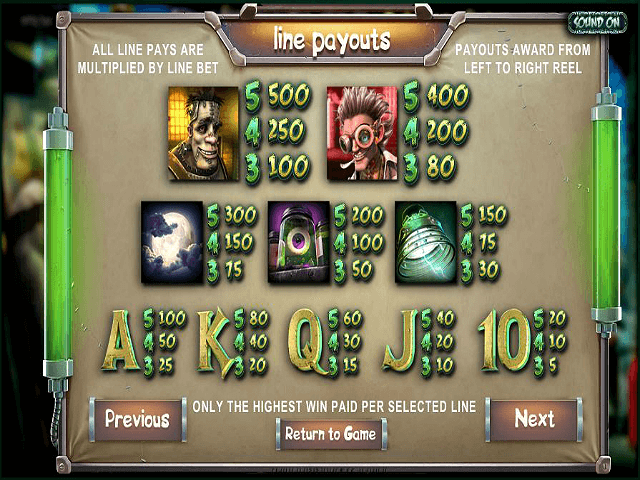 If you like Frankenslot's Monster - You'll like these slots too!